He won our hearts with his priceless reaction to hearing for the first time – now a Melbourne toddler has a starring role in an Australian icon’s music video. The footage of the moment seven-week-old Lachlan Lever’s hearing aid was turned on is still one of my favourite videos of all time. His perfect response – his first smile – went viral around the world after an American man shared it from the Facebook page of oral language centre Taralye last September. 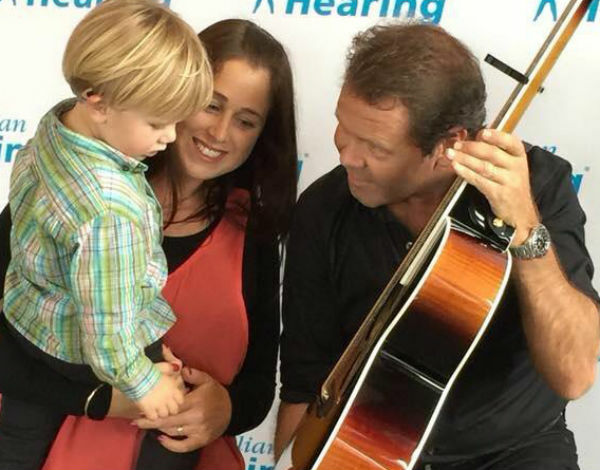 And it has now inspired an equally heartwarming video for a new song by country music star and Australian Hearing ambassador Troy Cassar-Daley. 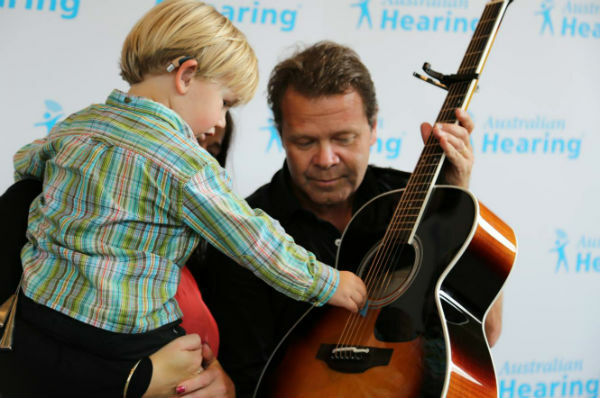 The song, I Can Hear You Now, celebrates the gift of hearing – which so many of us take for granted. Australian Hearing, a federal government service, was so taken by Lachlan’s video that it decided to put together a collection of people’s reactions to having hearing aids fitted to go with the song’s video. The emotion-charged clip shows 14 people, ranging in age from two months to 85 years old, hearing their first sounds. Lachlan and his mum, Michelle, were invited to the song’s premiere in Sydney, where they walked the red carpet and met Cassar-Daley. “When I first walked into The National Centre of Indigenous Excellence and heard the song being played on the large screen, my eyes immediately teared up and I got goose bumps and started to feel really emotional. It brought back all the feelings I felt when Lachlan received his hearing aid,” Michelle says. Cassar-Daley wrote the song after watching a film showing people hearing for the first time. “It was an incredible experience, it was quite overwhelming. Troy is such a kind-hearted man and takes such an interest in hearing impairment – he even let Lachy play with his guitar,” Michelle tells us. In more exciting news for the family, Lachlan has been chosen as the face of Loud Shirt Day on October 16. Cassar-Daly has donated I Can Hear You Now to Australian Hearing. The song can be downloaded on iTunes for $2.19 – all of which will go towards helping hearing-impaired people.